Your teenager has impressed on paper and now it’s time to deliver for them to the goods in person. The same interview questions pop up time and time again, so why not get them to rehearse their responses before the big day arrives? That way you both know that they are as prepared as they can be! Why do you want this job? Encourage your teenager to do their homework for this one -they need to browse the company’s website, visit a store if it’s a retail company they are applying to, and make sure that they get to know their products. Help them to realise that they need to take the time to find out what the business does, how and where they do it and what they stand for, then explain how their own career aims and personality are a perfect fit. Tell me about yourself. Your teenager needs to resist the urge to recount their life story. They need to think sharp and succinct – a short summary of their work and education that highlights top achievements and relevant experience. If they are a school leaver is fine, They need to let the recruiter know how their studies have prepared them for the role. Using the material from their CV’s personal profile is a great place to start. What are your weaknesses? Help them to realise that they need to keep their answer positive and upbeat. Acknowledge where they are short on skills but describe what they are doing to build on their strengths. For example, if they lack management experience, they can describe the course they are taking, their recent role as a team leader or a project that required them to co-ordinate a group. Why should we hire you? When your teenager hears this, that is their cue to show off their strengths. Make sure they have studied the job description for a steer and used it to pinpoint concrete examples from their education or career – from leading successful projects to supervising co-workers – that will help them to demonstrate they the best candidate for the position. Give me an example of when you dealt with a difficult customer, used initiative, turned a negative into a positive.The list goes on. 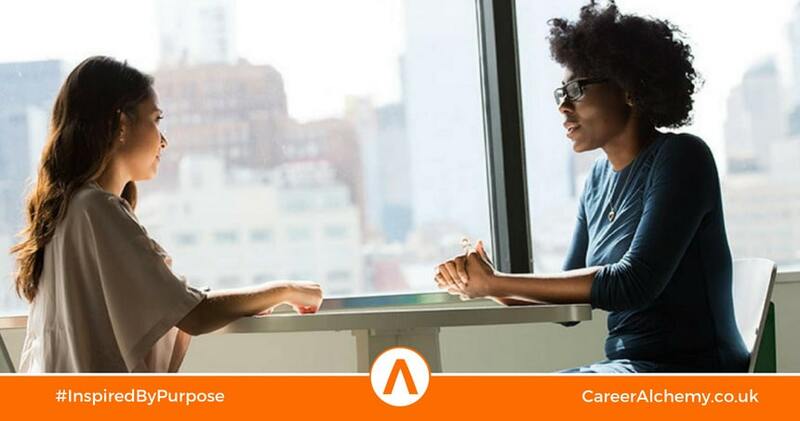 It is impossible to predict exactly what a candidate will be asked, but there are some valuable clues in the job description. Encourage your teenager to look to their CV, learn their work and educational history inside out and prepare some ready-made responses that roll off the tongue. Practice makes perfect here, so encourage them to say their answers. ​Most interviews only give candidates just three minutes to seal the deal – and here we are referring to the first impressions your teenager makes as they walk into the room. This is one time when meticulous attention to detail really pays off. It’s their big chance to impress and the little details, from clothing to eye contact, really do matter. Here are our top tips on avoiding the most common interview mistakes. Ensure they do their homework: Never let them walk into an interview unprepared. Get them to read up on the company they are dealing with, learning what they do and how they do it. Help them to make sure they can articulate why they want to work for them and how their personality and experience would prove a perfect fit. Then encourage them to show their knowledge and initiative by asking a few well-informed questions about the business at the end of the meeting. Make sure they dress the part: If they are itching to make an avant-garde style statement, interview day isn’t the time to do it. In fact, some bosses admit that dress sense can be the decider between similar candidates. So unless they in the running for a role at a cutting-edge fashion business, it’s best to encourage them to play it safe. Get them to choose smart business attire if that is appropriate for the role they are targeting and they can keep their trendier togs for that new job night out. If finances are tight and you live in a big city, you may be able to get some help on the clothing front for your daughter from SmartWorks or Dress For Success who provide business clothes and advice to help women get on. Suited and Booted can offer the same kind of help for your son if needed. Stand tall, sit still: A successful interview isn’t only about what they say; their body language speaks volumes too. Slumping and shuffling in their seat, twirling their hair and folding their arms can lose them valuable points before they have even uttered a word. But practice makes perfect. Encourage them to run through some interview FAQs at home – either with a friend or in front of the mirror – and tame those nervous tics before the big day. Then remind them to take a deep breath, summon their self-belief and wow the recruiter with a strong handshake, genuine smile and plenty of eye contact. Stay positive: Even when they tackling the toughest interview questions, tell them to never fall victim to negativity. Remind them that there’s no need to divulge the ugly details of their last role or badmouth a former boss. Instead, they just need to keep their responses upbeat and professional, focusing on their strengths and enthusiasm for the role. Confidence is the key. A sparkling CV gets your teen through the interview room door, but charisma is the clincher. Successful candidates exude confidence and use those three precious minutes to set themselves apart from other applicants. They know their career history inside and out and sell their strengths like an expert. So help your teenager to do whatever it takes to build their self-assurance, whether it’s running their lines until they roll off the tongue or wearing their sharpest suit.